SKU: BROO-PICT-1. Categories: Celtic Collection, Brooches & Clasps, Disc Brooches. Creation, Preservation, and Destruction. The triskele is an important Celtic symbol with many meanings. 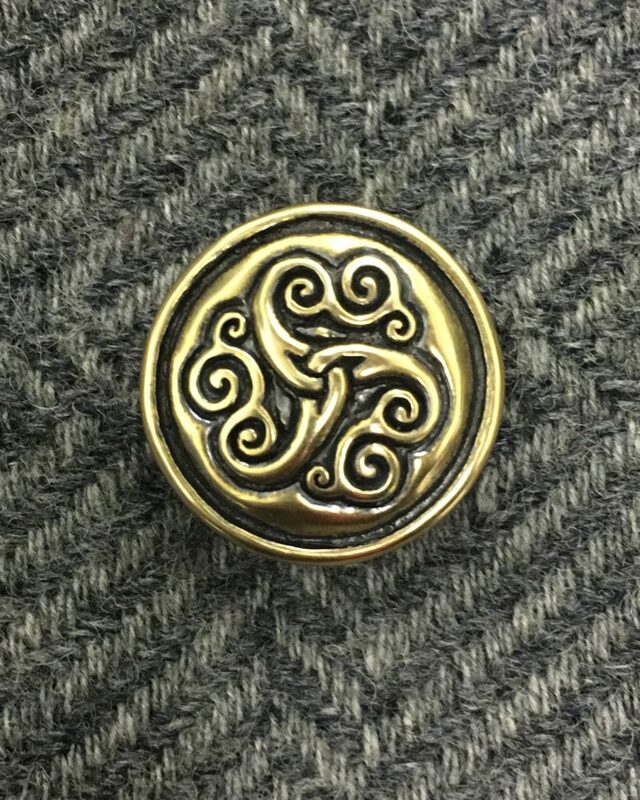 Tap into the power of the Ancient Celts with our Triskele Pin. Our Triskele Pin is available in bronze or sterling silver and is 1.25” (32 mm) in diameter. 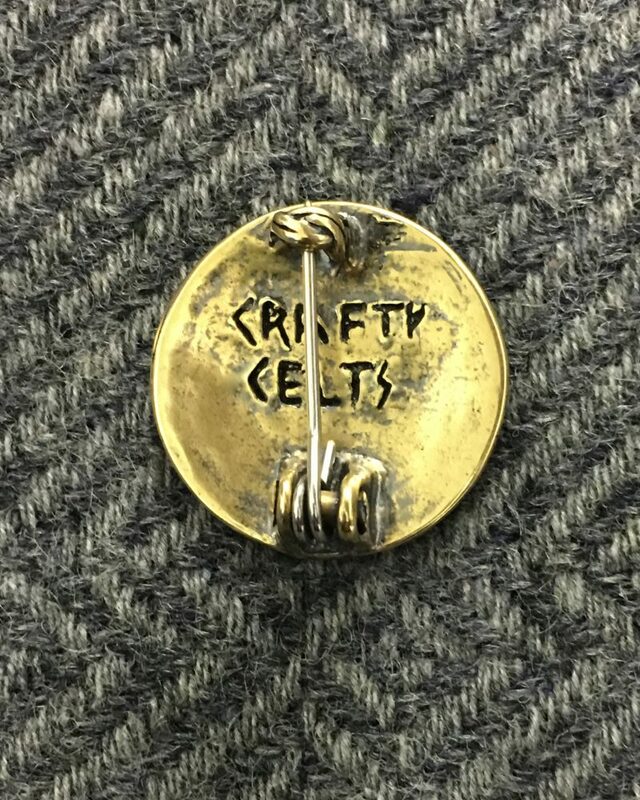 It features a light pin back, suitable for clasping lighter garments or wearing as a kilt or sweater pin. The triskele is a symbol common used in ancient Celtic art. It is especially associated with the Isle of Man where the ancient College of Druids was centered. The design emphasises the numeral three, which the Celts used to symbolize the principles of creation, preservation and destruction embodied also as the the cycle of life: birth, death (rebirth), triple goddess: maiden, mother and crone, and the phases of the moon.